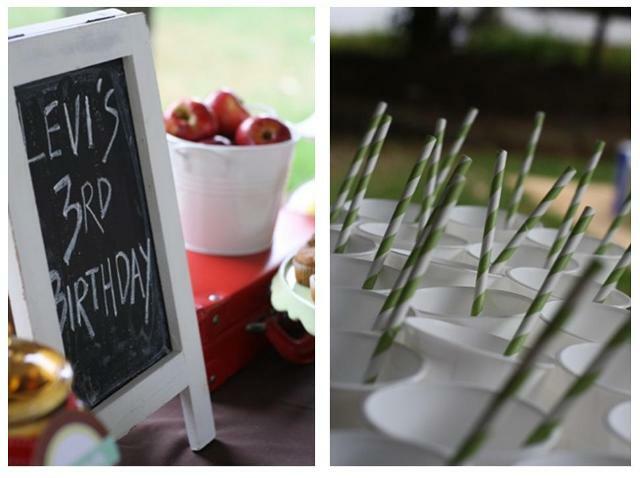 Images courtesy of Houzz.com, Country Living & Pottery Barn. 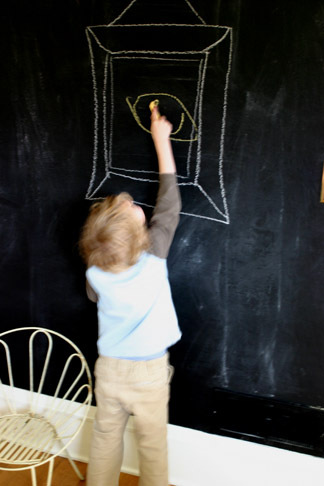 Okay, so I am planning a huge party for my son Kayden this weekend and amidst the party preps and planning I found myself driving to the local hardware store to get a tin of chalkboard paint- my current love. 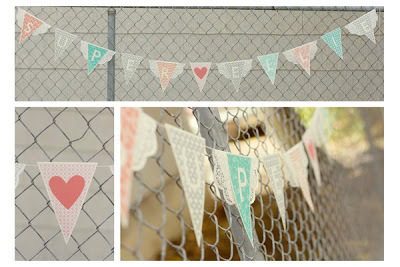 I have been thinking of painting one wall in the house for a while now, and when hubby didn't disagree with the idea today, I jumped at the opportunity. My boys would totally love it, and as a teacher who now has a whiteboard and smartboard, I miss the days of the good old chalkboard. 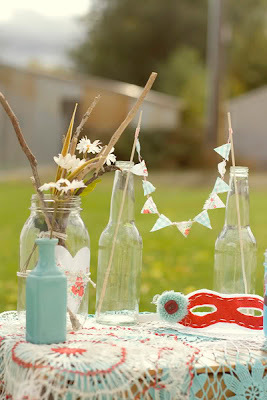 Also, I think it may just be the perfect creative backdrop for the Baseball/Sports themed party this weekend. 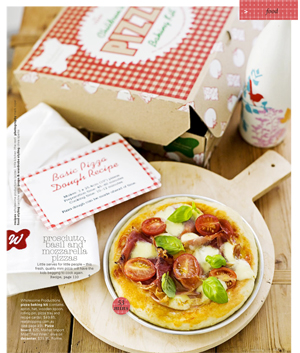 Mmmmm delicious homemade pizza, what's not to love? 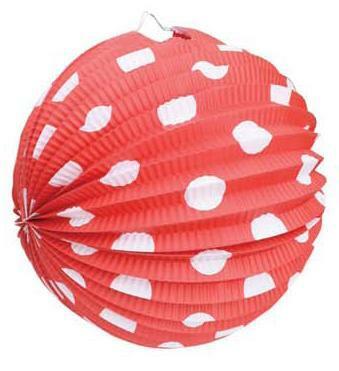 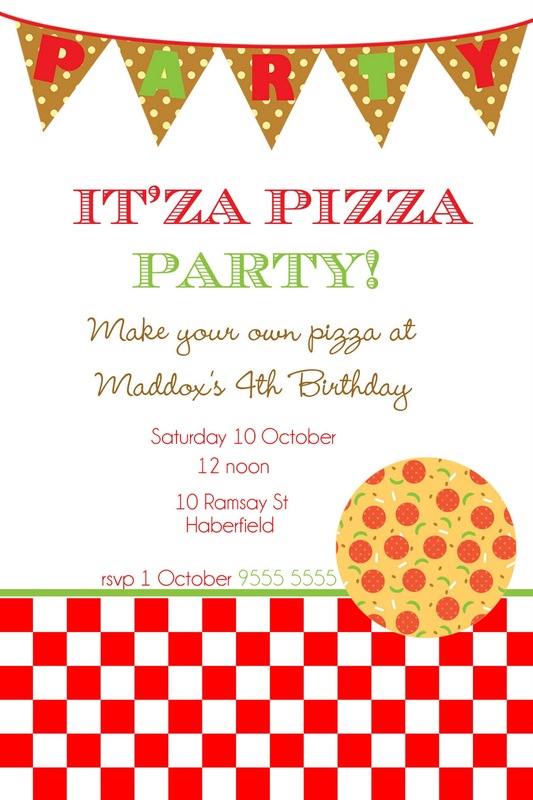 I think a Pizza Party is a fabulous theme for a boys or girls party. 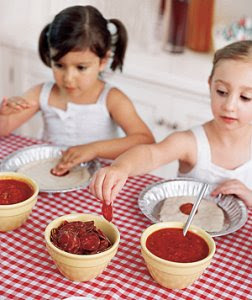 Complete with cooking aprons and chef hats, rolling pins and a selection of delicious pizza toppings, it delivers lots of fun and entertainment! I am excited about our latest invitation pizza collection; available as a printable file or we can print it for you! 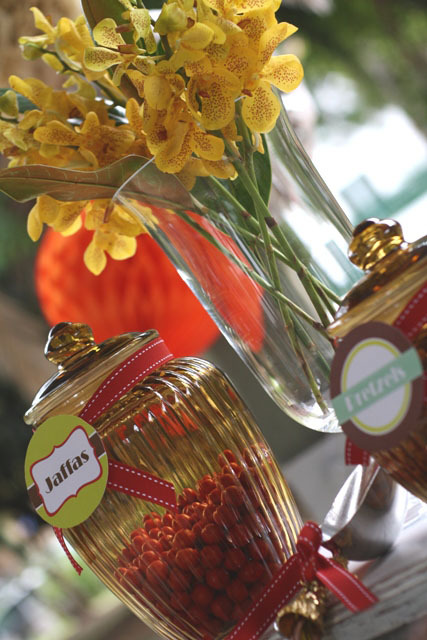 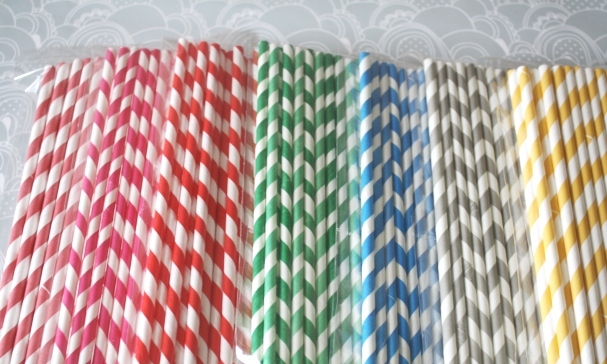 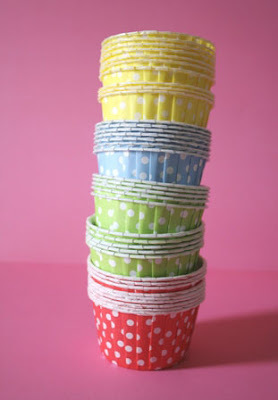 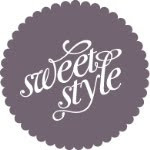 Match it with our co-ordinating cupcake toppers and labels! 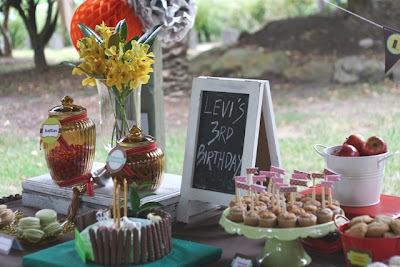 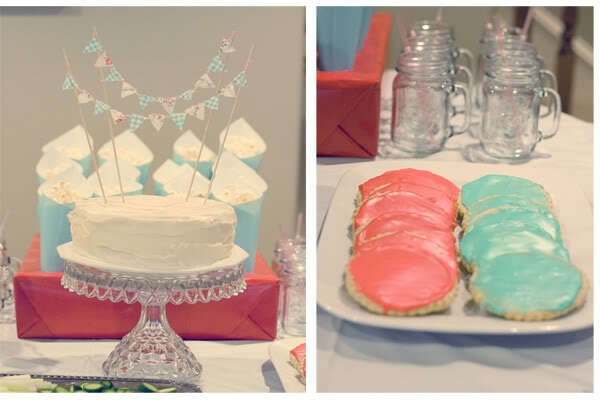 Last week I had the pleasure in styling a dessert table for little Levi's 3rd birthday party. I worked collaboratively with Vesna of My Little Jedi and she incorporated custom printables for Levi's party to tie in with the colour palette. Levi's mum wanted a vintage feel to the party so we introduced tones of chocolate, mustard, mint and red through the dessert table and decorations. 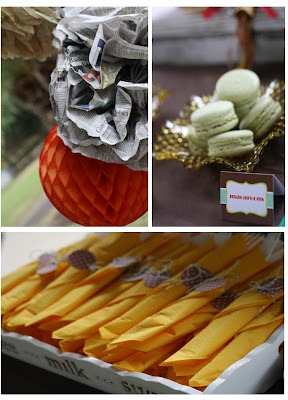 We included vintage amber dishes, and shabby chic props. 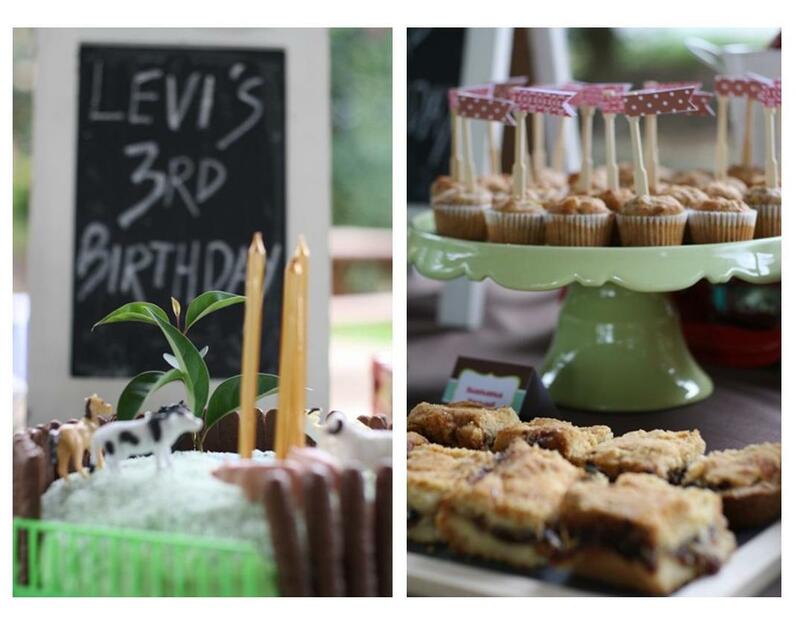 The sweets were homemade by Levi's mum and grandma and the cake was also homemade and looked delicious. 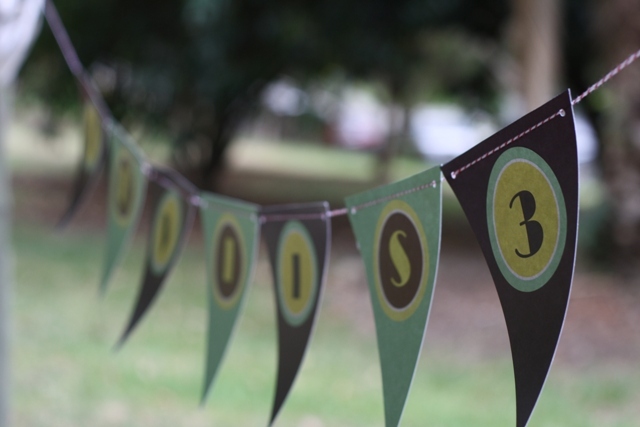 The setting was in a gorgeous park in Sydney's lower North Shore. 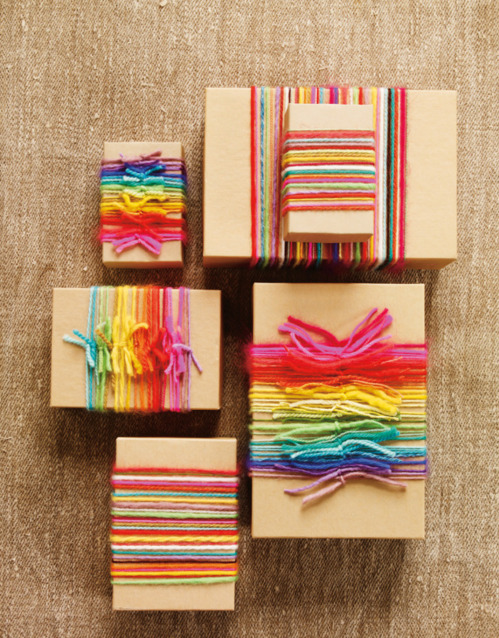 Bright, colourful and lots of fun! 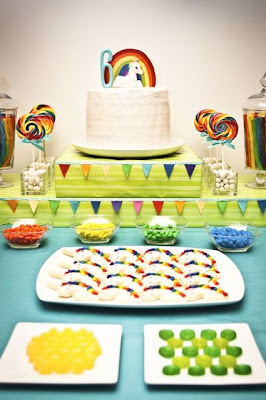 Perhaps that is why Rainbow themed birthday parties are totally in demand for boys and girls alike. 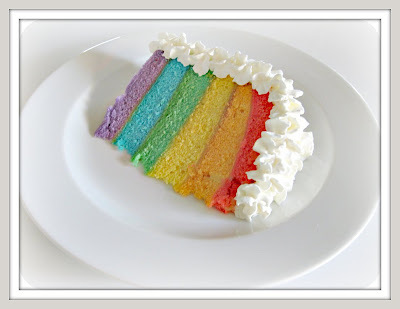 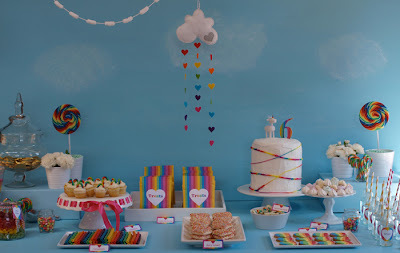 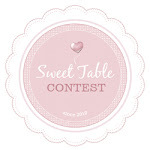 I have found a collection of gorgeous dessert tables in this theme and some scrumptious rainbow themed desserts. Superhero parties are very in trend at the moment and why not? Who doesn't love the retro superhero's and supergirl's and of course all children wanting to have special powers like their heroes! have combined their loves to create this absolutely gorgeous party. 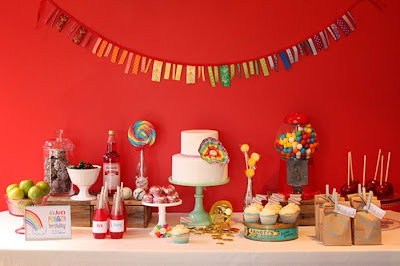 I adore all the details, a mix of eclectic, girly and vintage pieces including the adorable outfit, the vintage bottles and cake bunting, sweets & banner. 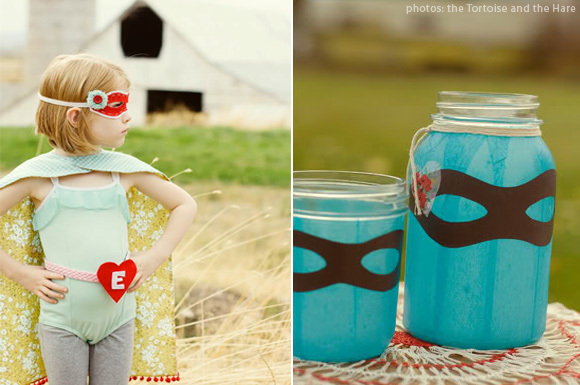 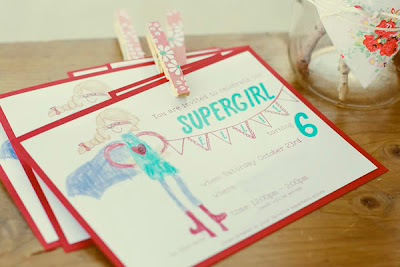 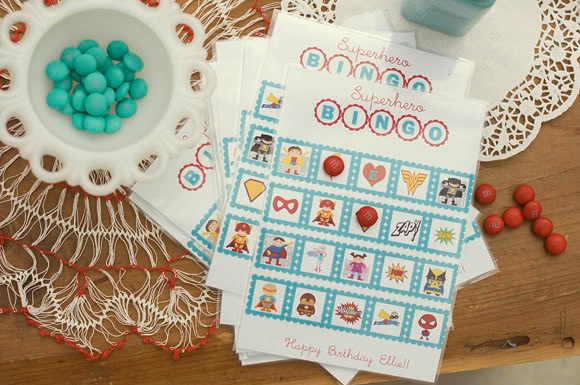 See another gorgeous vintage pop retro boys superhero party, by Anders Ruff here.